Gracie Albus (Bet) is a junior at Bethesda-Chevy Chase HS who is thrilled to be in her 1st KAT production. Past performances include Dainty June in Gypsy (Ovations Theatre), Celeste 1 in Sunday in the Park with George (Ovations Theatre), Louise in Carousel (Live Arts Maryland), Baker’s Wife in Into the Woods JR (Bel Cantanti Opera Company) and Serena in Legally Blonde (BCC HS). Thank you to the entire cast, crew and production team. A special shout out to my wonderful family for their constant support! Matthew August (Mr. Sowerberry) trained at the Kirov Academy of Ballet in Washington DC. He has been dancing classical ballet professionally with Boston Ballet and Pennsylvania Ballet. Matthew returned to Washington DC and is currently studying vocal performance. Matthew is very excited to be performing for the first time with KAT! Lucy Butera (Child Ensemble) has been in several Adventure Theatre productions including Charlie and the Chocolate Factory, Knights of the Rad Table, 100 Year Snooze and Snow White. Lucy is in the 5th grade, and in her spare time, she loves singing along to the Hamilton soundtrack and making slime. Lucy is thrilled to be a part of such a fun and talented Oliver cast! Brian Dauglash (Bill Sikes) began working with KAT in last year’s production of Priscilla, Queen of the Desert. Last fall, he performed in KAT’s production of Sweeney Todd as Anthony Hope. Recently, Brian played Paul San Marco in FTP’s production of A Chorus Line. Thankful for these experiences, Brian recalls past credits: Donkey (Shrek; Berkeley Playhouse), Gabe (Next to Normal; Pinole Players), Roger (RENT; Little Theater), and Chow (Flower Drum Song; Woodminster Amphitheater). Brian would like to thank his dedicated fan base for their unwavering support. Cole Edelstein* (Artful Dodger) is a sophomore at B-CC HS. Past shows include Matilda the Musical on Broadway (Bruce/Tommy swing), King Kong (Young Jack, pre-Broadway workshop), Peter Pan in Concert (Lost Boy, Transport Group NYC), A Christmas Carol (Turkey Boy, Ford's Theatre), Marie Antoinette (The Dauphin, Woolly Mammoth Theatre), Appropriate (Jesse, Woolly Mammoth), and Spin workshop (Signature Theatre). Cole is thrilled to appear in his third KAT production, having previously performed in Ragtime (Young Boy) and Les Miserables (Gavroche). In his free time Cole loves to read, ski, and run track for his school. A huge thanks to mom, dad, Garrett and Max for their love and support. Meghan Williams Elkins (Mrs. Corney) is a professionally trained actress and a classically trained musician in voice and piano and has been seen on professional stages such as The Guthrie Theatre in Minneapolis, The Kennedy Center, and Wolf Trap. Meghan has performed with several local community theatres including RMT, MP, VLOC, K2S, and BP. Meghan received her Bachelor of Fine Arts degree in Acting with a Minor in Music at the University of Minnesota-Duluth, MN. This is Meghan’s second appearance with KAT. When not performing, Meghan can be found teaching acting and music with her company, The Piano Studio. Love to Les! Ella Fielding (Child Ensemble) is very excited to be in her first KAT show! Ella is a 4th grader at Bells Mill Elementary School. Whenever she’s not in school, Ella can be found dancing. She started dancing at age four and current studies ballet and jazz. Favorite past shows include The Wizard of Oz (Theatre@CBT), Mary Poppins (Theatre@CBT) and The Nutcracker (Moscow Ballet). Love to Mom, Dad, Abby Becca, Brady, Nama and the rest of her crazy family for all their love and support! Malcolm Friel (Child Ensemble) is making his second appearance in a community theater production in KAT’s Oliver! His debut role was Flick in RLT’s A Christmas Story in 2018, in which he stuck his tongue to a flagpole night after night. Malcolm is a goalie for the Georgetown Titans ice hockey team. When he’s not acting or blocking pucks, he serves as a life coach to his four younger brothers. 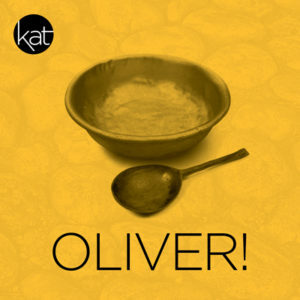 Sammy Friel (Child Ensemble) is appearing in his first musical production in KAT’s Oliver! Sammy made his community theater debut as Toady in RLT’s A Christmas Story in 2018. Sammy is a fourth grader at Washington Yu Ying Public Charter School. He plays goalie for the Georgetown Titans ice hockey team as well as DC Stoddert soccer. Sammy also makes a killer fudge brownie. Lauren-Nicole Gabel (Mrs. Sowerberry, Adult Ensemble) is super excited to be in her first show with KAT! A graduate of the DC Theatre Lab’s Honors Conservatory, Lauren-Nicole’s most recent stage credits include Glinda in The Wizard of Oz (Theatre@CBT), Belle in A Christmas Carol (Wolfpack Theatre Company) and Cathy Hiatt in The Last Five Years (MP). During business hours, L-N works as the VP of Client Delivery for Rizing HCM. Much love and thanks to David and Jessa, who have been listening to Sari and her sing these songs at home for months now and have never once tried to move out. 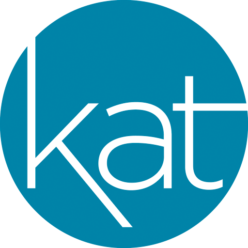 Sari Gabel (Child Ensemble) is thrilled to be in her first KAT show with many familiar faces. She is a 4th Grader at Fallsmead Elementary and wants to be a family therapist when she grows up. Favorite past shows include The Wizard of Oz (Theatre@CBT), A Christmas Carol (Wolfpack Theatre Company), Mary Poppins (Theatre@CBT) and Cat on a Hot Tin Roof (RLT). Thanks and love to Jessa, Daddy, and Schuyler. Nick Griffith (Charley Bates) is excited to be in his first KAT production. He was last seen as Randy in RLT’s A Christmas Story. He is ten years old and a fifth grader at Rachel Carson Elementary School in Gaithersburg. He swims for the Lakelands Lionfish and Hydrosonic Tiburones. Thanks to family and friends for their support and Jenni for being such a great teacher. “Everyone deserves the chance to fly”. Todd Hahn (Mr. Bumble) Being an absolute beginner with no previous theater experience, I’d like to thank John, Paul, Colleen, and all the folks behind this project for their patience, generosity (and bravery) in allowing me to do this role. It has been an amazing adventure, and I’ve had a wonderful time working with such wonderful, kind and talented people! I’d like to dedicate my performance to Stefanie, Marek, Lulu and Alfie. I love you so much! Terri, I hope you are getting a good laugh at this, wherever you are..
Francis Hoag (Child Ensemble) This is Francis’ second KAT show, as he was last seen as Benji in Priscilla, Queen of the Desert (May 2018). He just closed his 6th grade musical, Once Upon a Mattress, where he played Sir Harry. Francis has also performed in several pantos with the British Players. By day he attends St. Jane de Chantal school. Shout out to Fagin’s gang! George Hoag (Child Ensemble) This is George’s debut on the KAT stage. He has appeared in several pantos with the British Players, the last being Frosted (December 2018). George is a 4th grader at St. Jane de Chantal School. He plays the piano, drums and loves gaming in his free time. He is glad he could do this show with his mum and brother. Nicola Hoag (Mrs. Bedwin, Adult Ensemble) This is Nicola’s debut on KAT’s stage, although she has worked backstage on a couple of occasions. Nicola just completed costuming 44 6th graders in Once Upon a Mattress and has costumed numerous productions for the British Players. She is no stranger to theatre and has been involved both on and backstage with BP for the past 26 years. Nicola serves as Social Chair and Wardrobe Mistress on the BP board. She is thrilled to be doing this show with her two boys and is thankful to Chuck for holding down the fort. Nicola wishes the Oliver cast and crew broken legs! Emily Lawrence (Noah Claypole) is very delighted to be returning to KAT for Oliver! She last appeared at KAT as Tobias Ragg in Sweeney Todd. A graduate of the National Conservatory of Dramatic Arts in Washington, DC and the Duke Ellington School of the Arts, she has been involved in theatrical productions and musical training since the age of 6, including multiple performances as a member of SMP. At the Conservatory, she appeared in The World We Live In (Felix, Ichneumon Fly, Moth), Prometheus Bound (Hephaistos, Calypso), and A Midsummer Night’s Dream (Helena). She thanks John, Nancy, Paul, and the entire cast and crew. Brian Lyons-Burke (Fagin) is thrilled to return to KAT, previously appearing as Uncle Ernie/Acid Queen The Who’s Tommy. He most recently appeared as Ebenezer Scrooge in A Christmas Carol (LTA), and is a WATCH award winner for Judge Turpin in Sweeney Todd (TAP). Other notable roles include Oliver Warbucks in Annie (WOB), John Major in The Audience (LTA), Captain Hook in Peter Pan (TAP), King Triton in The Little Mermaid, Henry Higgins in My Fair Lady and Tevye in Fiddler on the Roof (DTC), Charlie in The Bridges of Madison County (RBTC), Roger DeBris in The Producers (SSTG) and King Arthur in Spamalot! (RMT and WOB). Jack Mayo (Mr. Brownlow) is pleased to be returning to KAT after playing Bob the Mechanic in last spring’s Priscilla. He has performed at RMT, SSTG, the Fringe Festival, Arena Stage, other area theatres and dinner theatres. Among his favorite roles: Niels Bohr in Copenhagen, Senex in Forum, Eddie in Golden Boy, Lombard in Ten Little Indians, and The Laramie Project. Jack is a member of SAG/AFTRA and has done film, commercial, and print work across the DC/Baltimore area. Thanks to John, Paul, Colleen, the cast, and crew for a great experience. Allison Meyer (Charlotte, Adult Ensemble) is delighted to be back with KAT & the wonderful cast of Oliver! She was last seen on the KAT stage in Bridges of Madison County & throughout the DC area in Frosted (BP) & The Merry Widow (VLOC). Favorite credits include Wonderland (Alice), The Pirates of Penzance (Mabel), Die Fledermaus (Adele), Orpheus in the Underworld (Eurydice), The Marriage of Figaro (Barbarina), Anything Goes (Reno Sweeney). Education: BM in Vocal Performance & MA in International Training & Education. When not singing, Allison loves to balboa & works at AU as the International Student Academic Support Specialist. Lauren Jay Pacuit (Adult Ensemble) is excited to be supporting this most talented cast. This is her first time performing with KAT. She has performed in Beauty and the Beast and Frosted with the British Players. Over the last 13 years, Lauren has moved around the world with her awesome husband Eric and her amazing daughter Lily. She has played many roles in the years, ranging from private practice therapist, educational psychologist, community organizer and yoga instructor. Lily Pacuit (Child Ensemble) is thrilled to be part of Oliver. She has performed in Merlin, Beauty and the Beast, and Frosted with the British Players. Lily regularly performs classical Indian dance (Kathak) and contemporary Bollywood with Rhythmaya Dance School in the DC area. By day, she is a fifth grader and in her free time she loves to draw and paint. Matthew Reeser (Dr. Grimwig) This is his second show since returning from a 20 year hiatus. Most recently starred as Jacob in FTP’s version of Joseph and the Amazing Technicolor Dreamcoat. This is his first show with KAT, and he is amazed by the level of talent he sees in his cast mates. He is married with two children who also enjoy theater. His daughter reignited his passion with her vocal talents and his sons ability to work backstage as a sound engineer. Dash Samari (Adult Ensemble) is very excited to be a part of this wonderful production and his very first at KAT. He has performed in several other productions including Beauty and the Beast as the Beast/Prince (MAD), Peter Pan as Starkey (VTC), and as both the bellhop and Borden in Plaza Suite (SSTG). Dash is currently studying theatre at Montgomery College. He would like to thank Dr. Angela Marchese for being his first personal singing instructor and transforming the cacophonous noise that he used to call a "singing voice" into something that actually sounds pleasant. He also thanks Gary Jacobs for giving him his very first lessons in acting. Zachary Singer (Child Ensemble) Is a sixth grader at Takoma Park MS. He was last seen at Silver Spring Stage as Stephen in Season of Light and Leroy in The Best Christmas Pageant Ever. He has also played Atum in Atum’s Eye and The Music Teacher in The Bourgeois Gentleman with the Traveling Players Ensemble. Along with theater, he loves singing in choral ensembles, and was recently a part of the Montgomery County MS and ES Honors Chorus. He enjoys playing violin, writing stories, and doing math and science. Alison Starr (Adult Ensemble) This is Alison’s stage debut with KAT! Previous shows include Disgraced as Emily (GAC), Season of Light: A Winter Fairytale as Angry Peasant Woman/Musician (SSS), The 2018 One Act Festival (SSS), and Angel Street as Nancy (GAC). Alison has also performed in several community and professional shows throughout California and Ohio. She is a drama teacher with Imagination Stage and Drama Kids International. Amelia Stickle (Child Ensemble) This is Amelia’s first time on the stage. She is beyond excited to put her dramatic inclinations to good use. When not singing and dancing, Amelia can be found reading a book, writing, or drawing. Amelia is in third grade at Rachel Carson Elementary School. She would like to thank her family and friends for coming to see her performance! Justine Summers (Nancy) is excited to be appearing in her first production with KAT! An anesthesiologist in training by day, she has a BMA in vocal performance from the University of Oklahoma, where she studied under Metropolitan Opera baritone Kim Josephson. These days, she relies on Cate Frazier Neely to teach her how to belt. Previous roles include Mabel in Pirates of Penzance (GGSS), Nancy in Oliver! (BST), Riff Raff in Rocky Horror Show (GGSS) and Sor Robin in Spamalot (GGSS). Love to Noah for his unwavering support and unshakeable belief. Deirdre Gyr Turshen (Old Sally) Gyr is happy to make her debut with Kensington Arts Theatre. Most recently she has performed with the Hexagon show both as an ensemble performer and musical director. She is on the board of Hexagon as the Beneficiary VP and serves as Vice President on the board of the interPlay Orchestra at Strathmore. Jaida Weisel (Child Ensemble) is a 5th grader at CESJDS. This is her first production with KAT. Recently, she played City Father Munchkin, Nikko, and a Jitterbug with Theater@CBT’s production of The Wizard of Oz. She was also in the kids ensemble of Fiddler Off the Wall and Michael Banks in Mary Poppins with CBT too. Last summer she was Mike TV at Capital Camps production of Charlie and the Chocolate Factory. In December she was in the kids ensemble with the RLT’s production of A Christmas Story. Jaida is excited to be with KAT in Oliver and grateful to her parents and her sister for all their support of her love of the theater. Cody Yeatman (Oliver) is a Homeschooled Freshman from Virginia. He is thrilled for this opportunity to play Oliver with KAT. Although this is his first production with KAT, it is the 8th show for him in less than four years. He has caught the theatre bug, for sure. He was previously seen in productions with Northern Virginia Players. Some of his favorite roles/shows have been Narrator in Into the Woods JR and Wizard in Sleeping Beauty. When he is not onstage, you might find him playing the piano, curled in a corner reading fantasy novels, or playing with his dog, who coincidentally, is named Olive.